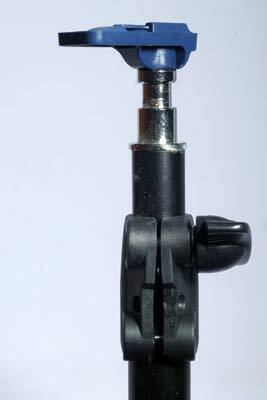 The frio Coldshoe from Enlight Photo is a portable device for attaching flash guns to lighting stands, grips or tripods with a 1/4 inch screw thread. Featuring Enlight Photo’s ‘Slip-n-Click’ technology, the dual lock system of the frio gives photographers the assurance that their gear is safe during every photo shoot, on location and in the studio alike. 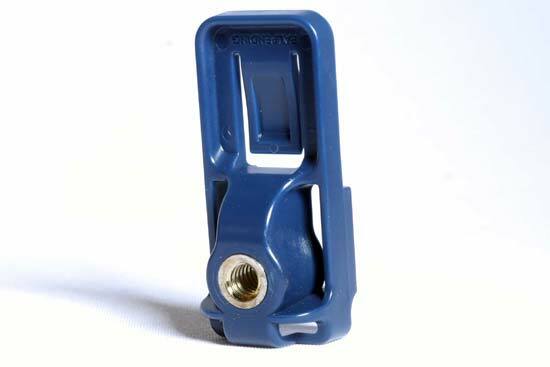 Used with a slave unit, it can provide photographers with an off camera flash solution. The frio Coldshoe retails for £9.99 / $12.99. It's always the case that you're out on a shoot, you're loving the shots you're getting, but you know that there's something else that you can do. You want to experiment with light but all you have is a flash gun, camera and tripod. 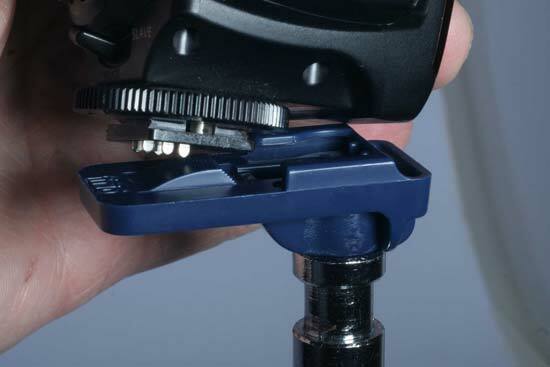 The frio Coldshoe is a slim, pocketable device for fixing any item with a male shoe onto a stand with a 1/4 inch screw thread. This will allow you to take the flash off camera and put it to the side for more dynamic lighting. 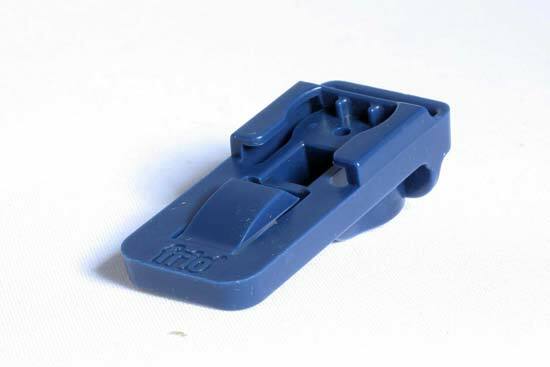 The frio is rectangular, made of tough plastic with a metal tripod bush underneath. 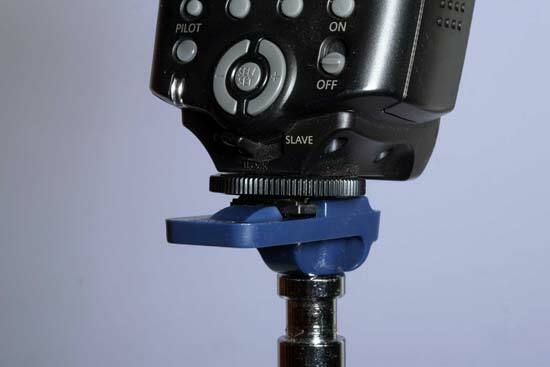 The Coldshoe is universal fit with the exception of Sony or old Minolta which have the inverse mount. It will even work with the Nikon SB-900 which has a notoriously difficult hot-shoe mount. 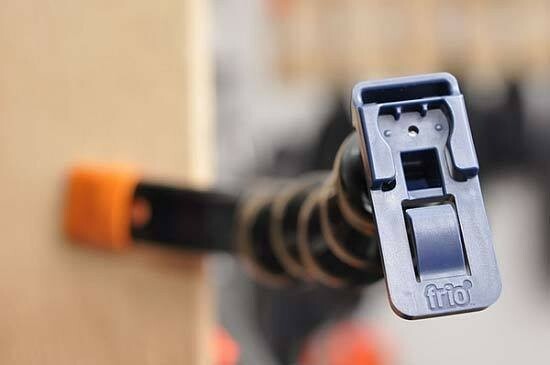 What makes the frio different is the lock system. It uses two types of lock to ensure your flash stays put. 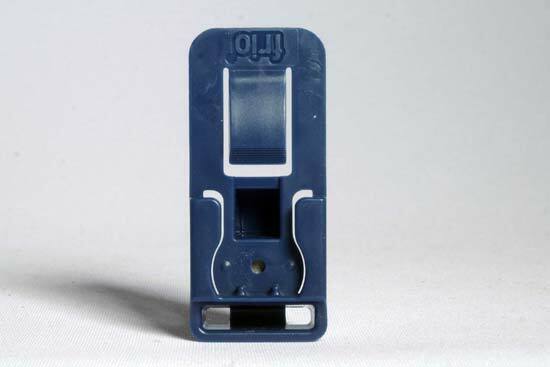 Simply putting the flash unit into the frio causes friction which keeps the flash still. 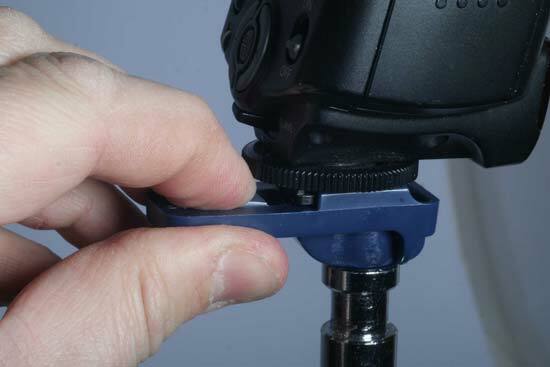 Once in place, a small clip springs up behind to stop it slipping back. Enlight Photo call this “Dual-Lock”. To make the frio easily found when needed, it comes with space to be attached to a lanyard. It can then be tied to a bag or hung around your neck. The frio works very well in all photo conditions that we could try it on. 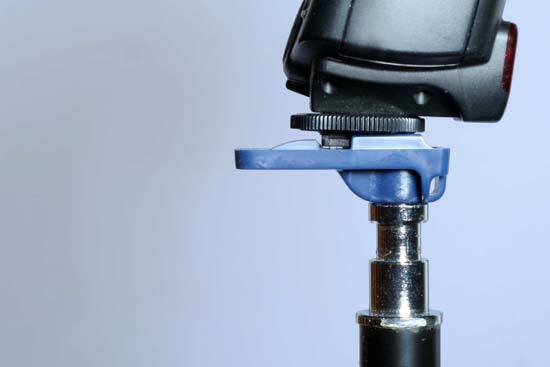 It attaches firmly to both the tripod (Manfrotto 190CX) and light stand (Elemetal) and kept our flash unit – a Canon 430EX - firmly in place. We used the flash in slave mode with a wireless trigger and that's the only other investment part you'll really need. Once we'd attached the flash to the frio, we agreed that it looked difficult to remove but it's actually fairly easy. The clip is easy enough to push in and hold while removing the flash.